Swedish operator, LeoVegas, has made additional changes to its group leadership team, appointing a new COO, and Deputy CEO on the back of a new CFO in May. According to LeoVegas, the company is making the changes to its Group Management structure with the hopes of finding new efficiencies and optimising workflows while also shifting more resources onto its responsible gaming and LeoSafePlay arrangement. 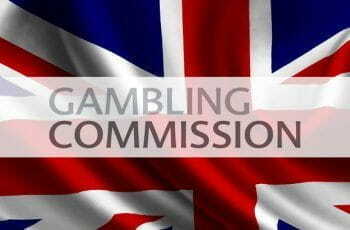 The gaming group, which was recently fined £600,000 by the UK Gambling Commission for accepting bets from problem gamblers, has appointed Richard Woodbridge as the new LeoVegas Chief Operating Officer (COO), replacing Marcus Nylén. 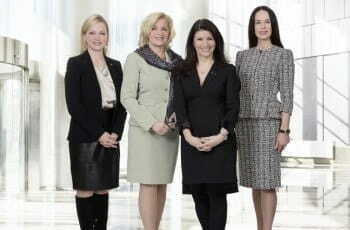 Woodbridge will take over responsibility for the entire operations at the group’s Malta offices. Though there is no confirmed start date as yet, Woodbridge will assume his position no later than 7 January 2019. In the meantime, Nylén will continue to hold the position of COO until Woodbridge takes the reins. Woodbridge currently serves in the position of COO at Ellos Group, an e-commerce company based in LeoVegas’ home country of Sweden. “I am looking forward to being part of LeoVegas’ continued journey of growth and optimising LeoVegas’ operations, with sustainability as a guiding principle,” Woodbridge continued. LeoVegas Group CEO, Gustaf Hagman, said Woodbridge was well suited to the role and responsibilities. Woodbridge will also take on the responsibilities previously assigned to Chief Commercial Officer (CCO), Rikard Ljungman, who is leaving the position as well as the Group Management to instead focus on LeoSafePlay. “Rikard was one of the initiative-takers behind LeoSafePlay, and with his strong product background, including as CPO for the software company Episerver, he has the exact right expertise to take the next step to make LeoVegas the leader in responsible gaming technology and strengthen our position as a GameTech company,” Hagman said. Once Woodbridge takes over the role, Nylén will leave the Group Management and instead focus his efforts on a role heading up the LeoVegas global expansion. According to a LeoVegas press release, Nylén will continue in this role due to his “relationship as a closely related person to Louise Nylén”. Louise Nylén, meanwhile, has been promoted from her role as Chief Marketing Officer to the newly-created position of Deputy CEO of Leovegas Mobile Gaming Group. She will be located in Stockholm and will work alongside Group CEO, Hagman, as of 10 July 2018. As part of this role, she will work on strategies for sustainability and value creation in the business. Her previous role will be broken up and the tasks disseminated among other positions and thus will cease to exist.